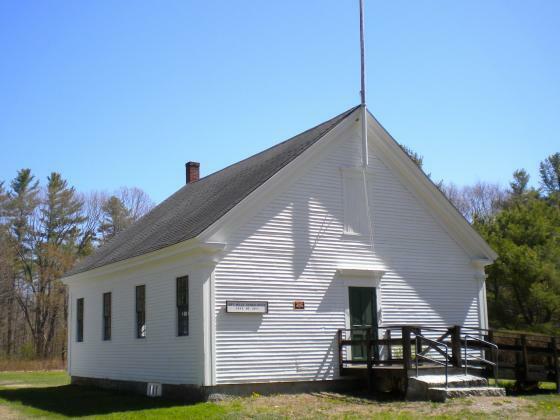 The Dry Mills Schoolhouse Museum Committee will present “Dry Mills School: Past and Present” at 6:30 p.m. Thursday, Sept. 20, at the Gray Public Library, 5 Hancock St. The presentation will explore the fascinating history and bright future of the iconic Gray landmark. This event is free and light refreshments will be served. Anyone wanting to honor someone who spent time at the Dry Mills Schoolhouse can have their name engraved on on the museum’s honor plaque for $100. The plaque is now on display at the town offices for viewing until the schoolhouse is reopened. Checks should be made out to town of Gray with Dry Mills Schoolhouse on the memo line. Mail them to Town of Gray, 24 Main St., Gray, Maine 04039, and include a note with the preferred inscription, or go to graymaine.org/dry-mills-schoolhouse-museum. For more information e-mail drymillsschool@graymaine.org or call Jenn Dupuis at 657-3649. Popular children’s musician Rick Charette will perform from 11 a.m. to noon Saturday, Sept. 8, at the Maine Wildlife Park. He’ll perform many songs about Maine’s wild animals along with songs from his latest album. He’ll also sign autographs and sell CDs after the show, which will be held rain or shine. On Sunday, Sept. 9, the park will celebrate National Grandparents Day with free admission to grandparents accompanied by their grandchildren. A Friday BBQ with The Veggies is scheduled for 6-10 p.m. Friday, Sept. 7, at American Legion Post 86, 15 Lewiston Road. Enjoy the food and music while supporting youth scholarships. The Gray Community Food Pantry, located in the basement of the First Congregational Church Parish House at 5 Brown St., accepts donations of food, personal care items, diapers, cleaning items and money. You can find collection bins at Town Hall and at the Gray Public Library for non-perishables. Coupons also can be left in the bins for the pantry’s “couponers,” who use them to buy items for the pantry. Perishables are accepted, so if you have excess produce from your garden that you would like to donate, contact the pantry. The pantry is open the first and third Fridays of the month from 2-4:30 p.m. No documentation is required to receive food, but you must fill out a form. For more information, call 657-4279 and leave a message in mailbox 3. Monetary donations should be made payable to: GCFP and mailed to Jan Nowinski, 55 Westwood Road, Gray, Maine 04039. Marketing expert Adam Goldberg will speak at the Sebago Lakes Region Chamber of Commerce quarterly Morning Momentum breakfast from 7-9 a.m. Tuesday, Sept. 18, at Spring Meadows Golf Club, 59 Lewiston Road. Goldberg, vice president of business operations for the Maine Mariners ECHL team, will speak on bringing professional hockey back to Maine and turning Portland Pirates fans into Maine Mariners fans. A breakfast buffet will be offered for $25 for chamber members and $35 for non-members. To register,go to www.sebagolakeschamber.com or call 892-8265. A “Dry Mills School: Past and Present” program will be held Thursday, Sept. 20, at the Gray Public Library.